Keto Cinnamon Rolls…saying those three words together is just plain weird right? Keto Cinnamon Rolls are DEFINITELY a thing, but making keto cinnamon rolls vs. the regular flour and sugar laden cinnamon rolls is a whole other ball game. First off, almond flour, the base to this recipe, has no gluten. Gluten is the protein found in bread that gives it it’s elasticity and airy-ness. No gluten=no gluten strands formed=dense “bread”. Thus, in this recipe I have added vital wheat gluten(the isolated protein from bread) back to the recipe, this means we have all the gluten we need, without the carbs! I’ve also added a teaspoon of sugar to this recipe. 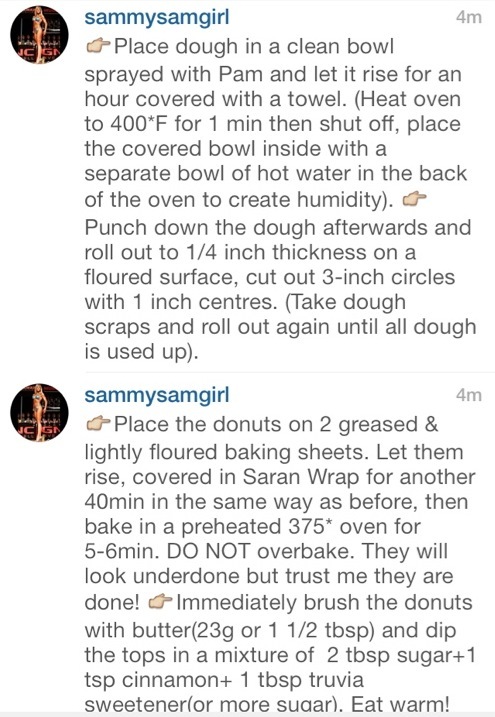 (OMG SUGAR, SAM, WHAT ARE YOU THINKING, THIS IS A KETO RECIPE!! SUGAR??). Yes, I realize sugar is not keto guys, I haven’t lost it(yet) but thankfully yeast is a pretty greedy little monster and will eat up all of that sugar for us while it activates! But it’s pretty great, huh? 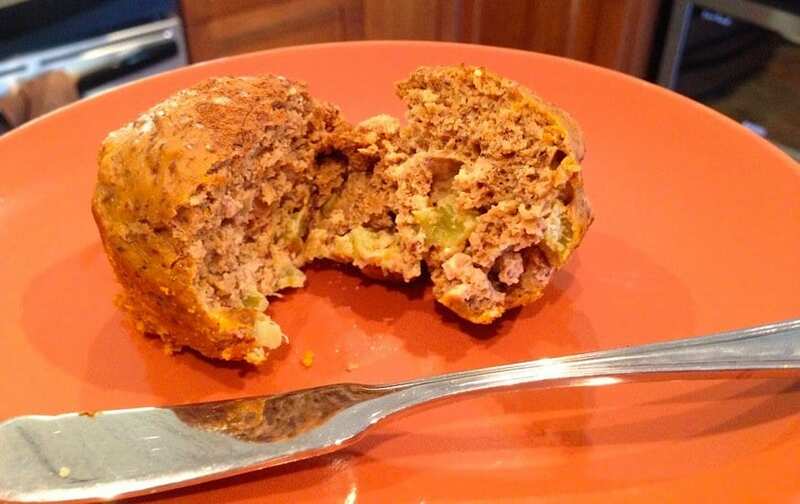 This recipe also offers a whopping 20g of protein and 4g of fibre per serving making this a totallllly acceptable breakfast option (or lunch or dinner..I don’t judge). What doesn’t this recipe offer?? Okay, maybe a self-baking option…but I mean where’s the fun in that? Obviously watching dough rise is one of my favourite past times.. But enough jokes, since this recipe isn’t going to bake itself, this is where you come in. Combine all dry ingredients except the reserved flour in a large bowl. Heat your butter, milk and water in a microwave safe cup for roughly 50s to a minute. Stir the warm mixture into the dry ingredients along with the egg. 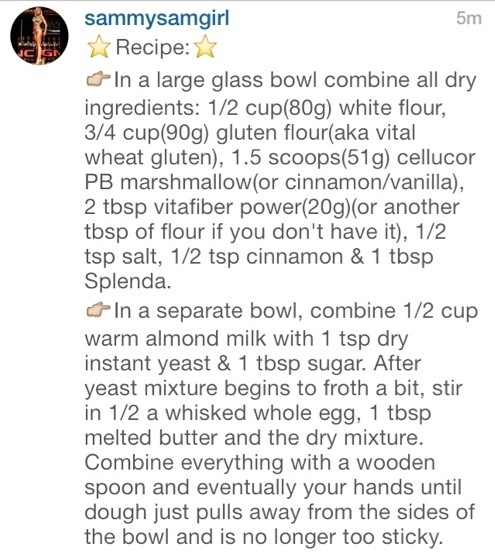 Use a spoon to start forming a dough. Add the extra 1/4 cup almond flour as you go to make it less sticky. Use your hands to begin kneading the dough. Knead it for roughly 3-5min (it contains quite a bit of vital wheat gluten so we want to be careful we don’t over-knead or it will become too dense). Next form the dough into a neat ball and sprinkle the bottom/sides of your bowl with almond flour before placing it back down. Cover the bowl with a towel and move it to a warm location like an oven that still has a bit of heat in it but is not hot, or use the microwave method (just heat water or nothing particular in it for about a minute or so before placing the dough in to rest). After and hour, remove the dough from the bowl and place it on an (almond) floured surface. Using a spoon, spread the butter gently over the entire surface of the dough then combine your cinnamon and sweeter of choice and sprinkle on top. Roll the dough, long-side to long-side, being careful not to tear it. Tuck in the ends and use your fingers to press any cracks back together if they do occur. Next, slice the dough into 7 even pieces and place them, inner-side up, in a butter or coconut oil greased baking dish. *Cover the rolls and let them rise for another 30-45 minutes in a warm location. Finally, bake the rolls uncovered at 375* for 15-18min. (I purposely took them out a little early so they wouldn’t over-bake). Combine your coconut oil and cream cheese in a microwave-safe dish and microwave it for 30 seconds. Mix in your egg whites, vanilla and sweeter and almond milk until it becomes smooth. Drizzle or spread on the glaze on each cinnamon roll and then don’t wait for them to cool at all, just tear them straight out of the pan and devour them like a crazy hungry keto monster. JK. If you want to be normal and not burn your mouth(that definitely didn’t happen to me…..)then wait for the cinnamon rolls to cool before gently removing them from the dish with a knife or spatula (trust me, it will make your life SO much easier). NOW you can devour them. ENJOY! Store in an air-tight container in the fridge or freeze until you have another cinnamon roll craving! *Note : You CAN skip step 14 if you are in a hurry BUT I recommend completing the recipe as written for best results. *If you get a chance, please give me a quick follow on Pinterest. I have just started an account and will be sharing some of my recipes there first! All you have to do is click the pinterest button at the bottom of this page and it will take you to my account, or click the follow button in the homepage main side bar! Thank you for your amazing support guys, as always!